Looking for a fresh choice in one-of-a-kind favors? These mint tins are just right! 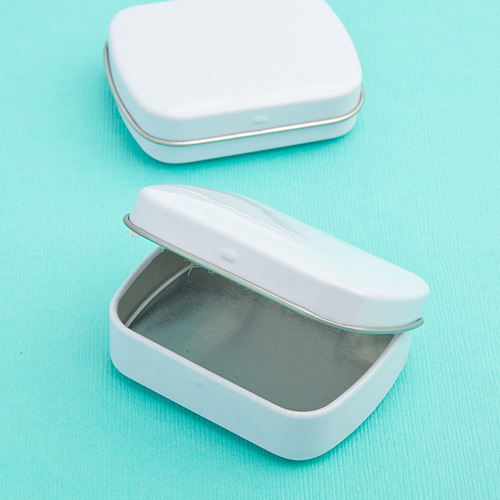 The possibilities are endless for what you can put on the inside AND the outside of these adorable little mint tins. That's because you can fill them with mints, candy, confetti, coins and so much more. Each white metal rectangular mint tin measures 2.375" x 1.875" and has a sturdily constructed hinged bottom and top - perfectly fit for the application of the personalized label of your choice. Label not included. These mint tin favors come bulk packed.